Recent reports in the media have highlighted that many children feel a high level of anxiety due to the confined space experienced when having a conventional MRI scan. News of this development comes just days after media reports about an initiative at Monash Children’s Hospital in Melbourne to reduce the anxiety of children. It has become the first hospital in the southern hemisphere to use advanced technology to create interactive displays throughout its diagnostic imaging department. The MRI room is transformed from its clinical state to a theatre featuring soothing coloured lights, sounds and a video to divert patients’ attention away from the procedure. Both of these are great ideas and Avicenna Clinic fully supports any advances in patient care that will add to the patient’s overall comfort. However, the cutting-edge Open MRI technology used at Avicenna is far less daunting than conventional MRI scanners and allows the clinic to lead the way in improving the overall experience of its patients. 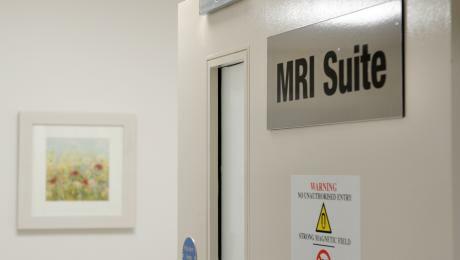 The clinic’s Hitachi Open MRI facility is particularly useful for children who suffer from claustrophobia and anxiety-related issues because it is a one-platform scanner and is a completely open facility – no ‘tunnel’ or enclosed spaces.